If you are searching for a Best USB speaker under 500 Rs. So This article is about Best Speakers under 500 Rs., And as I explained about best 5.1 speakers and best 2.1 speakers in a previous post. Now I will recommend a list of Best speakers below 500 because many people want a good speaker in budget because these types of speakers has ease of connectivity and you can carry this anywhere and they also give very good and rich sound. Best portable speakers under 500 Rs. 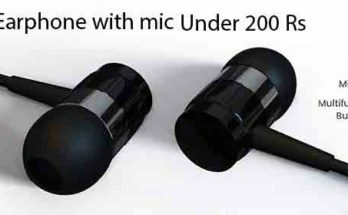 Are very small in size with well built quality and looks vise very cute and the price takes very less, these 2.o speakers below 500 Rs. Are ideal to use with desktop, tablet, mobile and laptop. Today in the market Many best USB speakers under 500 Rs. Are available, but here you will find the best speakers under 500 so check below list and by according your choice and budget and buy online without hesitation. List of Best USB Speaker under 500 Rs. Details of Best USB Speakers under 500 Rs. This Quantum speaker has 2.0 channel output system that produces very rich sound quality and This portable speaker comes with round shape design & comes with 6 wattage that produces power bass and loud sound. you can connect it via laptop easily because it has 1.5 MTR long cables. This best usb speaker under 500 comes in red color with rounded shape with a volume control knob on back with 3.5 mm jack connectivity so connect your earphone or headphone and listen your songs and a USB plug that provides you to connect your speaker directly to your laptop. The iball Soundwave2 has 2.0 channel output system that produces clear sound quality and This is small, ultra portable with very build speaker, comes with 4 W RMS that produces rich bass and loud sound. This device comes with 90 to 20000 Hz of frequency response. This best USB speaker under 500 comes with 2 sets of satellite speaker with a volume knob and you can also find a power on off indicator light with connectivity options like 3.5 mm jack so you can connect your earphone or headphone and enjoy your tracks and a USB plug that provides you to connect your speaker directly to your laptop. The Enter E-S270 speaker is a 2.0 channel output system that produces clear sound quality and This small, ultra portable and very build speaker comes with 5 W RMS that produces rich bass and clear sound. This device comes with 50 to 18000 HZ of frequency response. This best USB speaker under 500 comes with 2 sets of square shape speaker with a volume knob on back with connectivity options like 3.5 mm jack so you can connect your earphone or headphone and enjoy your tracks and a USB plug that provides you to connect your speaker directly to your laptop. The iball Decor 9 has 2.0 channel output system that gives you clear, crisp experience of smooth sound and has good looks with jet black and great Metallic front grill comes with 1 year warranty. This best USB speaker under 500 comes with 2 sets of satellite speaker with a volume knob and a USB Power with connectivity options like 3.5 mm jack so you can connect your earphone or headphone and enjoy your tracks and a USB plug that provides you to connect your speaker directly to your laptop. This Havit speaker has 2.0 channel output system that produces very rich sound quality and This portable speaker comes with round shape design & comes with total 6 wattage 3 wattage each satellite that produces great bass and excellent sound. it has 1.4 MTR long cables so you can connect it from laptop easily. This best USB speaker under 500 comes in blue and black color combination with nice small shape with a volume control knob on back. Connect your earphone or headphone and listen your songs because there is a 3.5 mm jack connectivity and a USB plug that provides you to connect your speaker directly to your laptop. This Artis Mini has 2.0 channel output system that gives very smooth sound quality and This portable speaker comes with 600 W PMPO with two satellite that produces bass with great quality and much loud sound. it has long cables so you can connect it from desktop or laptop easily. This best USB speaker under 500 comes in red half circle and black color of body combination with nice compact shape with wired volume control. And a USB plug that provides you to connect your speaker directly to your laptop. The Zebronics Pop has 2.0 channel output system with 6 W of two satellite speakers that gives you very crisp experience of smooth sound and has nice slick looks with white and orange color combination and also comes with 1 year warranty. The Speaker has 2.0 channel output system with 5 W of two satellite 2.5 W each speakers that gives you very clear experience of smooth sound and has nice black and very cute looks with black body and silver round grill speaker with 1 year warranty. Previous Article Best projector for home under 10000 Rs.